Frequently, cull cows are sold into slaughter in the fall when cull cow inventory is highest and prices are lowest. Photo courtesy of Troy Walz. Traditional practice has been to cull an open beef female after pregnancy diagnosis to avoid additional feed and labor costs on a non-productive animal. Frequently, cull cows are sold into slaughter in the fall when cull cow inventory is highest and prices are lowest. Cull cow sales represent 10-20% of a ranch’s total gross income (2012 Nebraska Beef Cattle Report, pp. 35 – 36). Alternative management strategies of non-pregnant females can increase their value. Current markets offer high variability in cull cow and feedstuff prices. Depending on many factors each year, including prices and feed availability, alternative management strategies give producers options when choosing to keep or cull a non-pregnant cow. A discussion of 4 of those alternative strategies for spring-calving herds follows. The producer sells all non-pregnant animals and retains heifers at a normal 20% replacement level. In this scenario, the number of culled non-pregnant cows could exceed the number of retained heifers, resulting in a decreased cow herd inventory. An analysis using 5-yr discounted cash flow values demonstrated profitability in scenarios ranging from a cull cow rate of 0 – 100% (2012 Nebraska Beef Cattle Report, pp. 35 – 36). This alternative does not account for the opportunity cost of utilizing a terminal sire system if replacements weren’t retained. The advantage in using a terminal bull on straight-bred females results in an 8.5% increase in pounds of calf weaned per cow exposed. A more in-depth discussion of terminal systems is available at http://www.nbcec.org/producers/sire_selection/chapter5.pdf. The producer elects to sell all non-pregnant animals and purchase either bred heifers or cows to replace them. Purchase of bred heifers has historically resulted in the lowest profitability, due to the high cost of purchase and a lower pregnancy rate as a first-calver. At a non-pregnant cow rate of greater than 25%, producers consistently lost increasing amounts of money. When electing to purchase bred cows, producers were profitable across 5 years, even at 100% non-pregnant cow rate. (2012 Nebraska Beef Cattle Report, pp. 35 – 36). It should be cautioned, when purchasing bred heifers or cows, to ensure the female meets your production standards and is in good health. A thorough examination of the potential for disease introduction should be considered. The producer elects to rebreed non-pregnant spring-calving cows and market them as pregnant fall-calving cows in April. This producer takes advantage of the value-added product of a pregnant cow and avoids the seasonal low price of cull cows in the fall. In previous research, a profit of $197 - $426 per heifer exposed was realized if rebreed pregnancy rates exceed 50% and drought conditions are not present. These values include the cost of estrus synchronization. In drought conditions, this scenario is not profitable due to low feed availability and high feed prices (2016 Nebraska Beef Cattle Report, pp. 11 – 13). The price increase from cull cow value to sale of a fall-calving cow in April averages 69%. Alternatively, this producer could choose to keep all rebred fall-calving cows and now maintain a fall-calving herd. Historically, Nebraska sales of weaned calves in the spring results in higher prices/cwt due to decreased inventory. The producer retains non-pregnant cows and feeds to sell later. This producer avoids the seasonal low of cull cow prices in the fall, and generally sells cull cows for a greater profit in the spring, when prices are higher (https://www.extension.iastate.edu/agdm/livestock/html/b2-19.html). Profit margins rely on weight gains, slaughter grade changes, and cost of feedstuffs. A more in-depth discussion of feeding cull cows can be found at: http://digitalcommons.unl.edu/cgi/viewcontent.cgi?article=1187&context=rangebeefcowsymp. With these alternatives in mind, producers should consider rebreeding non-pregnant spring-calving cows to sell in a more favorable market or to maintain a fall-calving herd. 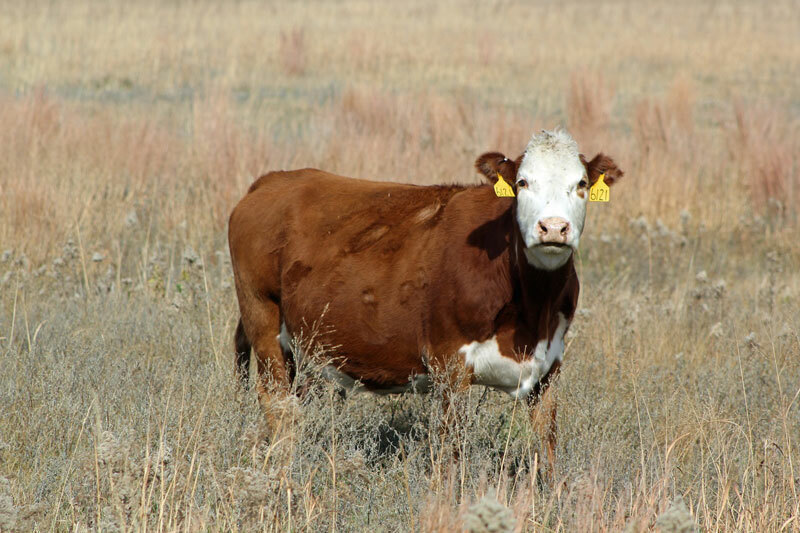 Under drought conditions, retaining heifers from the mature cow herd is likely to be more profitable, but this scenario does not consider the opportunity cost of utilizing a terminal system. Feeding out cull cows is a higher risk scenario and should be considered carefully regarding feed price and availability.